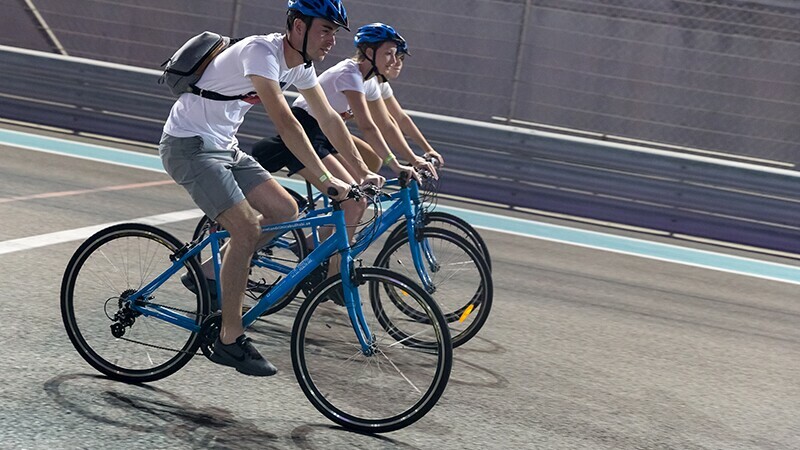 Cyclists of all ages, abilities and fitness levels turned up at Yas Marina Circuit on October 28th for the latest edition of ‘Cycle Unified’ and rode alongside members of the UAE National Cycling Team as a mark of unity and solidarity with all people of determination ahead of Special Olympics World Games Abu Dhabi 2019. Cycle Unified aims to break down barriers and promote social inclusion by having cyclists with and without intellectual disabilities ride alongside each other. The monthly event is part of the Special Olympics Unified Sports program and is a key initiative of Special Olympics World Games Abu Dhabi 2019. Unified athlete poses on his bicycle ahead of the starting line. 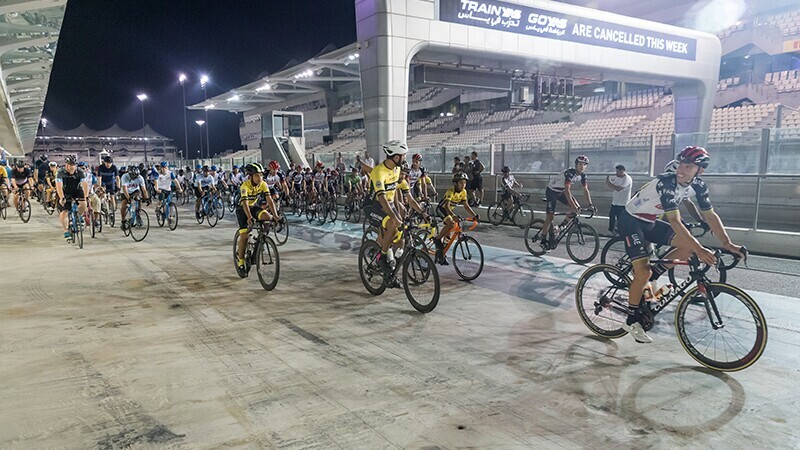 Cyclists start off on their first lap around Yas Marina Circuit. Three volunteers cycle around the course on their bicycles. 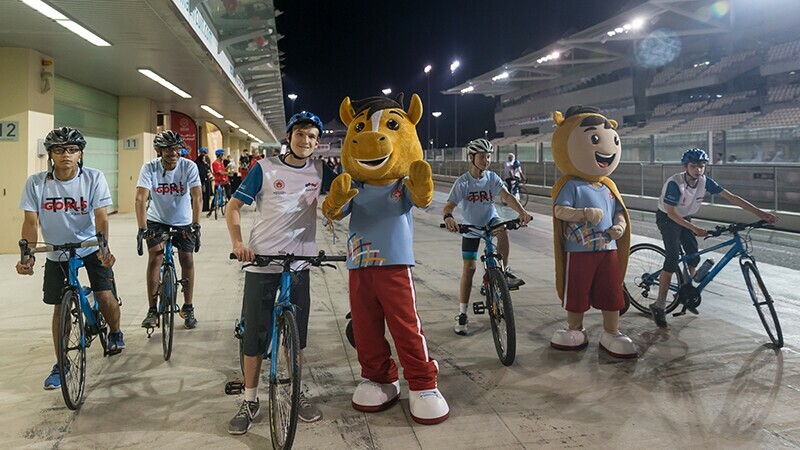 Special Olympics World Games mascots pose with five cyclists.